Now may be the time to pull the trigger on a new drainage project, or to explore cover crop implementation on your Indiana farmland. Two USDA funding programs targeted at improving water quality in watersheds located in and affected by Northern and West-Central Indiana have rapidly approaching deadlines. The Indiana Watershed Initiative and the Mississippi River Basin Water Quality programs are both accepting funding applications through March 16, 2018. The Indiana Watershed Initiative includes funding for the Kirkpatrick Ditch in Newton, Jasper, and Benton Counties. Led by the University of Notre Dame, it is aimed at reducing sediment runoff and improving soil health for plant resilience in high stress situations. 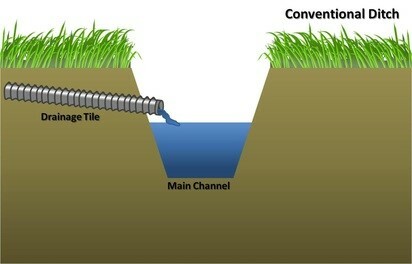 Historically projects funded through this program have focused on two-stage ditch systems and cover crops. 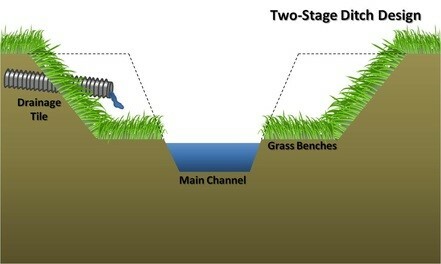 This funding cycle has been opened to also include projects implementing saturated buffers and denitrifying bioreactors, new technologies that provide similar results to more traditional drainage structures. 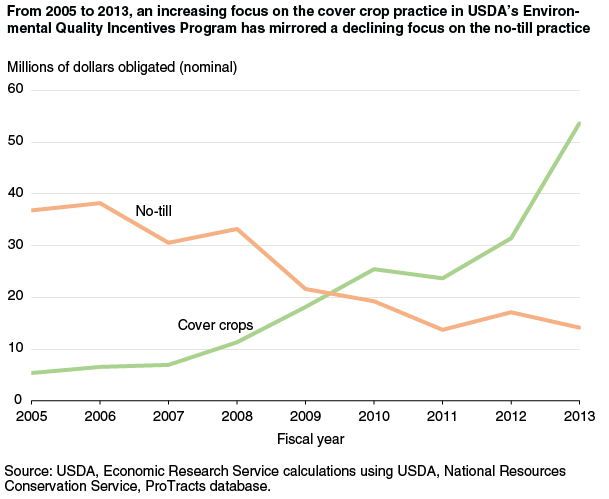 More information on this funding program may be found at http://www.nrcs.usda.gov/wps/portal/nrcs/detail/in/programs/farmbill/?cid=stelprdb1248173. dedicated to cover crop implementation. This may be due producer recognition of no-till benefits and increased willingness to adopt no-till without EQIP payments to support the practice. This has allowed funding to focus on areas that offer valuable conservation benefits, but at a higher cost to the farmer. Detailed information on projects funding within the Mississippi River Basin Initiative (MRBI) is located at: http://www.nrcs.usda.gov/wps/portal/nrcs/detail/in/programs/landscape/?cid=nrcs144p2_031031. Additional resources that may prove helpful when considering these types of conservation projects include Ohio State Extension’s Two-Stage Ditch Cost Estimator Tool and The Midwest Cover Crops Council Cover Crop Decision Tool. For a look at how one Indiana operation is utilizing conservation tillage in addition to cover cropping, check out this YouTube video featuring Rodney Rulon of Arcadia.